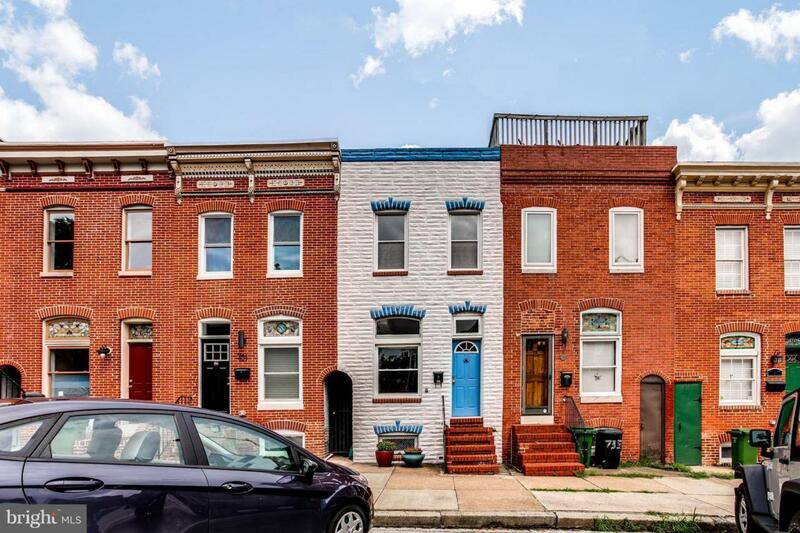 Spacious, light-filled Canton townhouse w/ updated kitchen & large deck for entertaining. Extra-long main level includes: two living rooms, dining room, kitchen, powder room. SS appliances, granite counter, copper backsplash, slate floor. New laundry conveniently on 2nd level. Skylight & lots of windows. Plenty of storage in basement. Unique Victorian charm w/ original wood trim & hardwood floors.